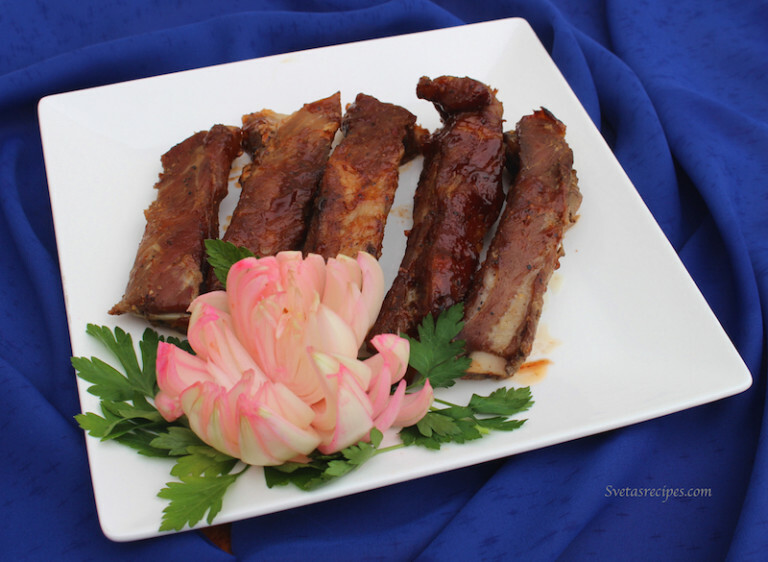 This is my favorite way of making ribs with barbecue sauce. They come out very soft and much juicier compare to other recipes i tried previously . 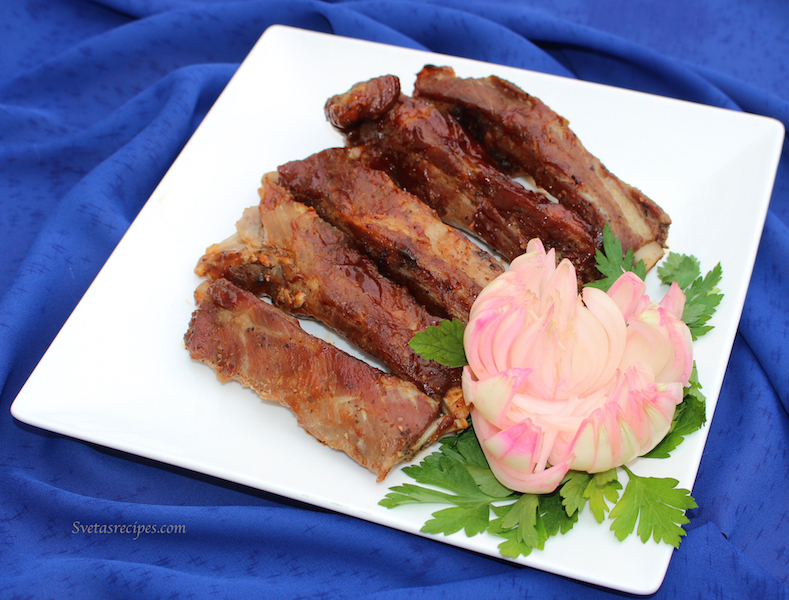 I fell in love with the way they came out the first time i tried making ribs for a family gathering and i hope you will love it as well. 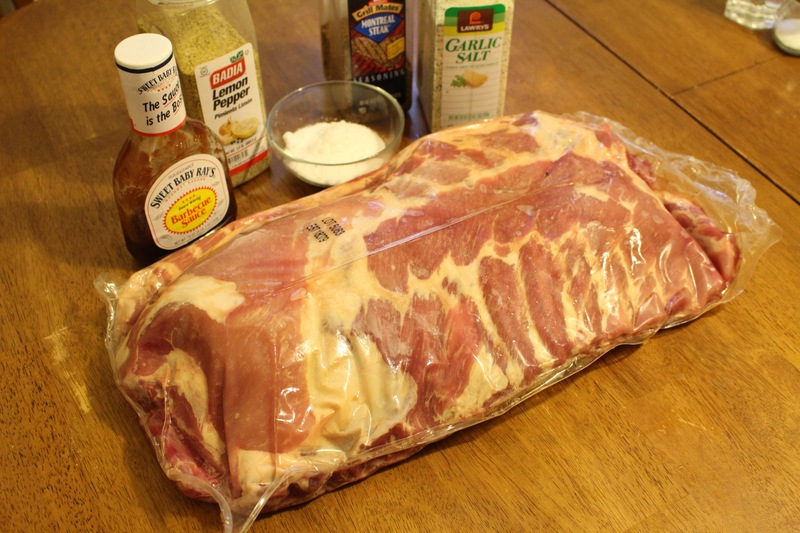 1) Take the ribs out of the plastic bag and wash under cold water very well and let them dry . 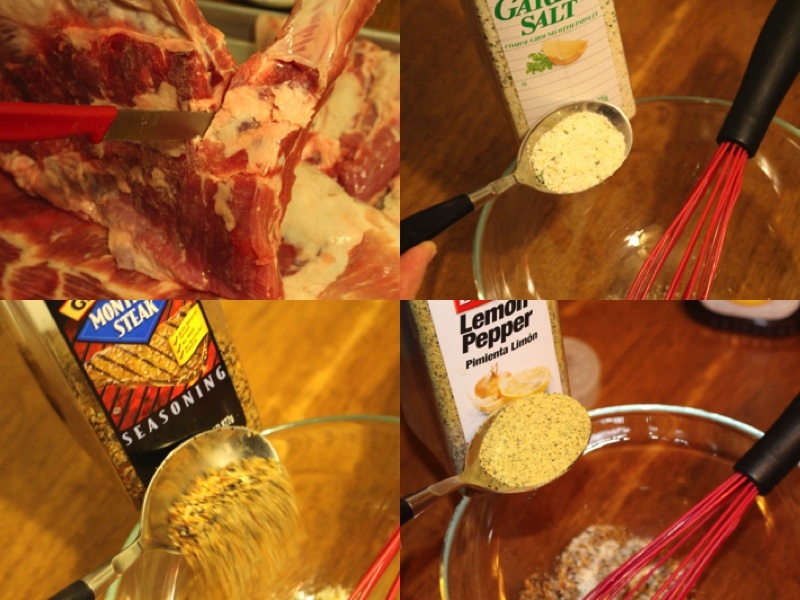 3) In a medium size bowl put in all the seasonings and mix it well . 4) Rub the seasoning that you just combined into all of the ribs by hand and then cover the backing pan with foil paper and let it sit for 12 hours. 5) After the 12 hrs pass put it in the oven and bake at 370F for 1 hour and 30 minutes. 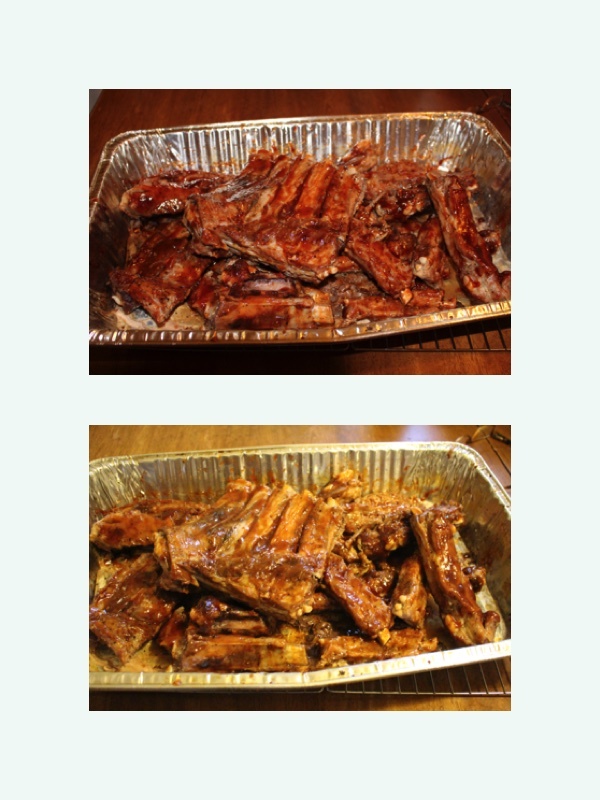 7) Spread out the barbecue sauce well through out the pan and make sure to put some on each side of every rib. 8) Put it in the oven for 10 additional minutes. Don’t cover it this time. Take the ribs out of the plastic bag and wash under cold water very well and let them dry . In a medium size bowl put in all the seasonings and mix it well . Rub the seasoning that you just combined into all of the ribs by hand and then cover the backing pan with foil paper and let it sit for 12 hours. After the 12 hrs pass put it in the oven and bake at 370F for 1 hour and 30 minutes. 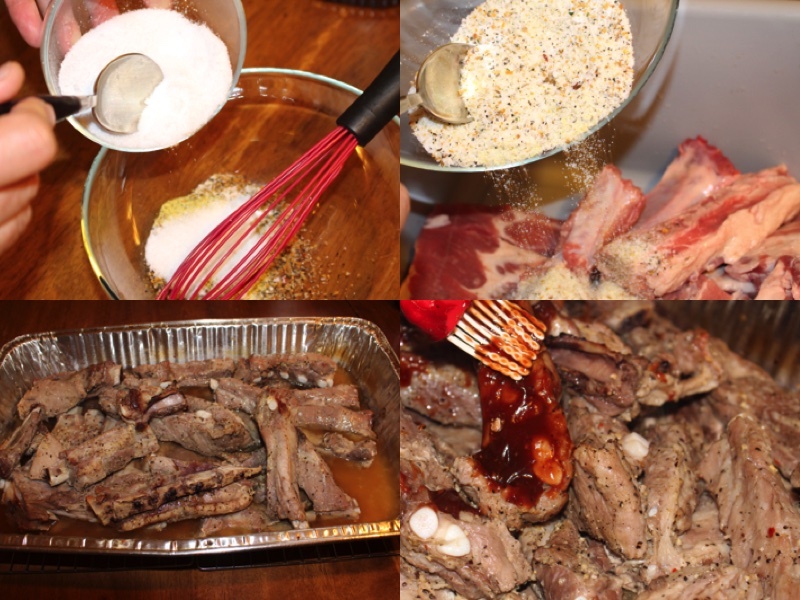 Spread out the barbecue sauce well through out the pan and make sure to put some on each side of every rib. Put it in the oven for 10 additional minutes. Don't cover it this time. Do I need to put it in the refrigerator for 12 hours? You don’t have to though you can if you want. I made these and they came out really good. Thankyou I’m glad you liked them.